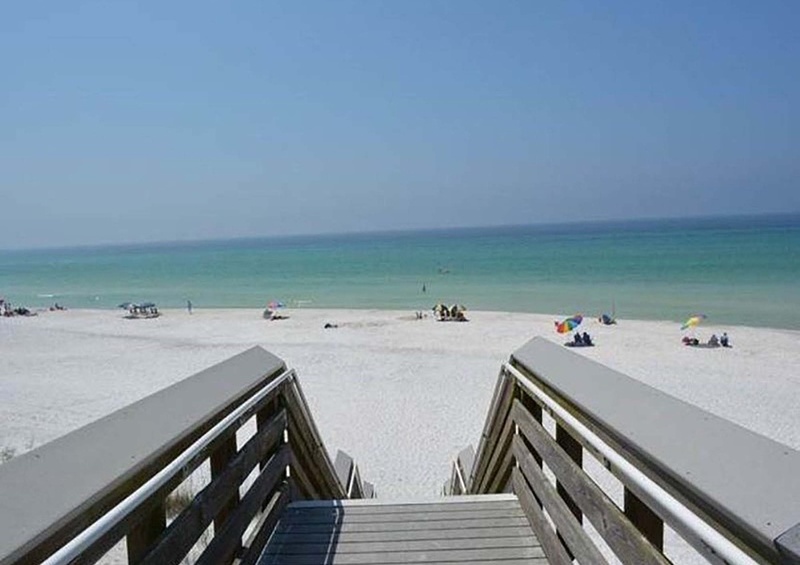 Your dream trip to Seagrove Beach can be a reality when you stay at charming A Pelican Place. Choose this three bedroom vacation home on 30A for your next relaxing beach retreat. This 1,410 square foot, two-story home comfortably sleeps up to ten people. The front of the property is adorned with lush palms and both a porch and balcony that overlooks the community. Sit for a spell on the front porch swing with a refreshing iced tea as neighbors stroll by for an evening walk. Upon entering A Pelican Place you are greeted with a true coastal feel with the light and airy décor. The first floor features ceramic “wood” tile and is a true open floor plan. This is the perfect home for entertaining your family and keeping visible sight lines. The light blue wall color carries the beauty of the Florida skies indoors. You will enjoy cooking in the recently remodeled kitchen. There is plenty of prep room on the granite countertops and you can easily converse with family and friends in the dining and living room. Also located on the first floor is the master bedroom complete with a cozy king-sized bed. At the end of the beach day you can retreat here and watch some late night television or dive into a great beach read! Two additional bedrooms are located on the second level of the home. One of the guest rooms has one queen sized bed and the other features two queen beds. 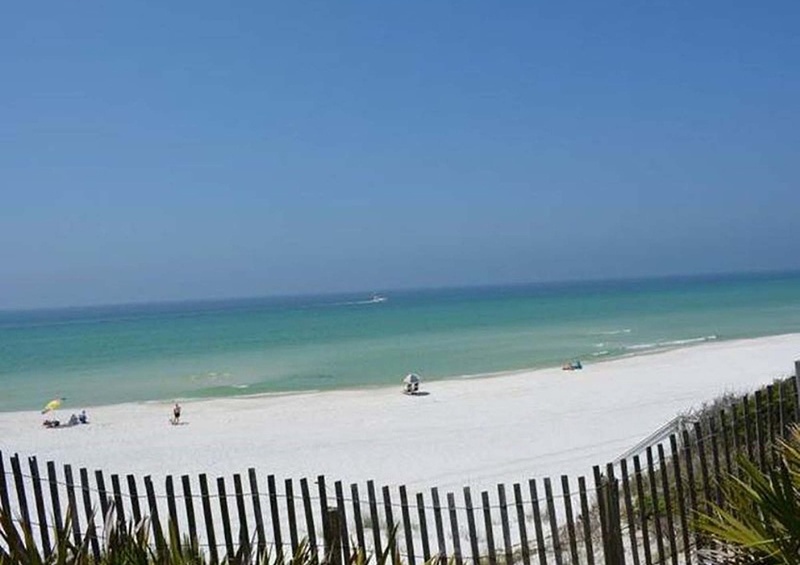 The mesmerizing turquoise waters of the Gulf Coast are just a short walk away. Dig your toes in the sugar white sands and play in the surf. Later, you can take a dip in your private pool. Take a bike ride or walk to famous Seaside and enjoy the great shops and restaurants nearby. And be sure to view the events page so you can plan out all the fabulous activities that you want to do during your stay. Reserve your vacation rental now and get ready to unwind in your own little paradise!